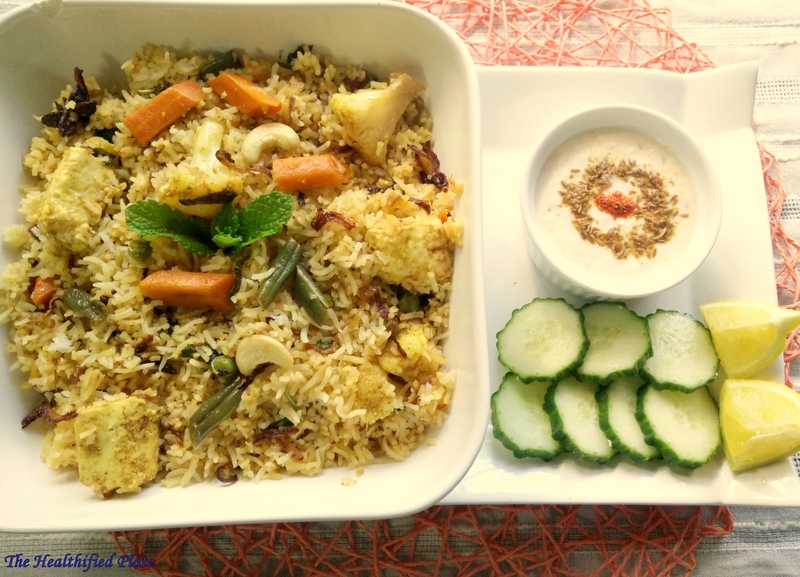 The aroma of Vegetable Dum Biryani made with layers of Basmati rice and curried vegetables along with fragrant spices never stops to tantalize our taste buds. 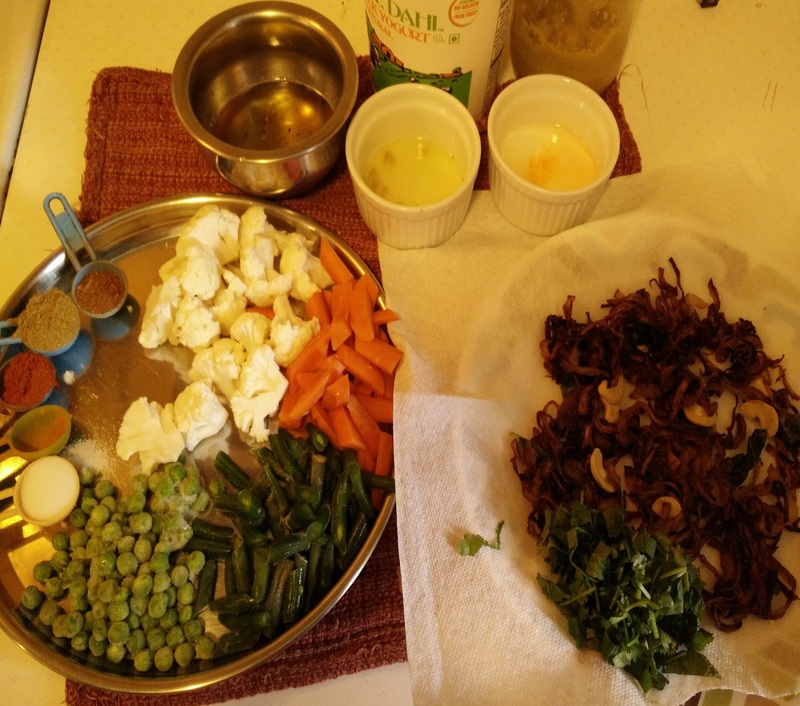 It is very popular vegetarian dish and is always a crowd-pleaser. People think preparing Dum Biryani is a tough job. No, It just requires some time and patience and by practice you will get a hang of it soon. 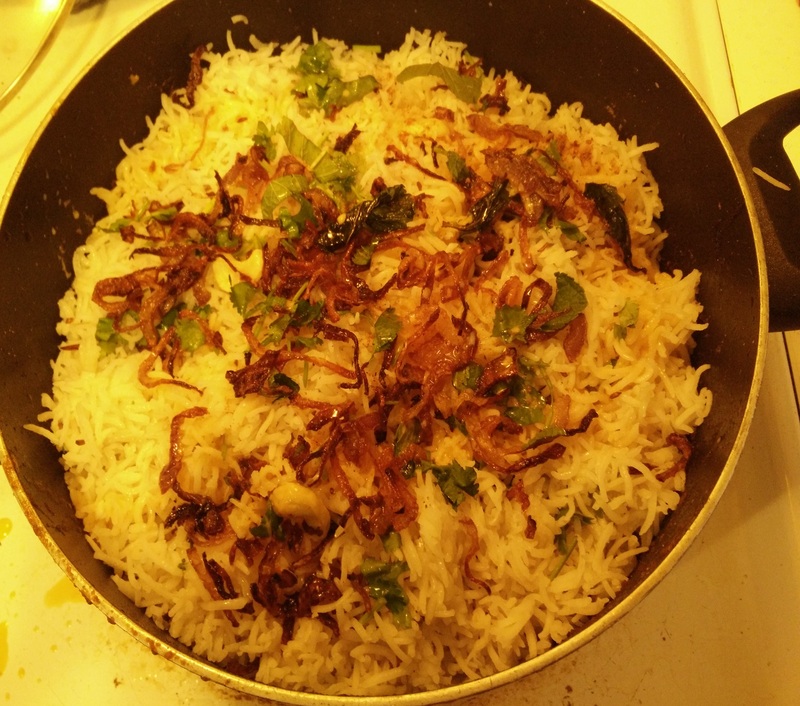 Here I present you my recipe with step by step procedure and tips to make a delicious Dum Biryani. Meanwhile, get another pot full of water to boil on high heat to cook the rice. Drain the water from rice completely and set the rice aside. 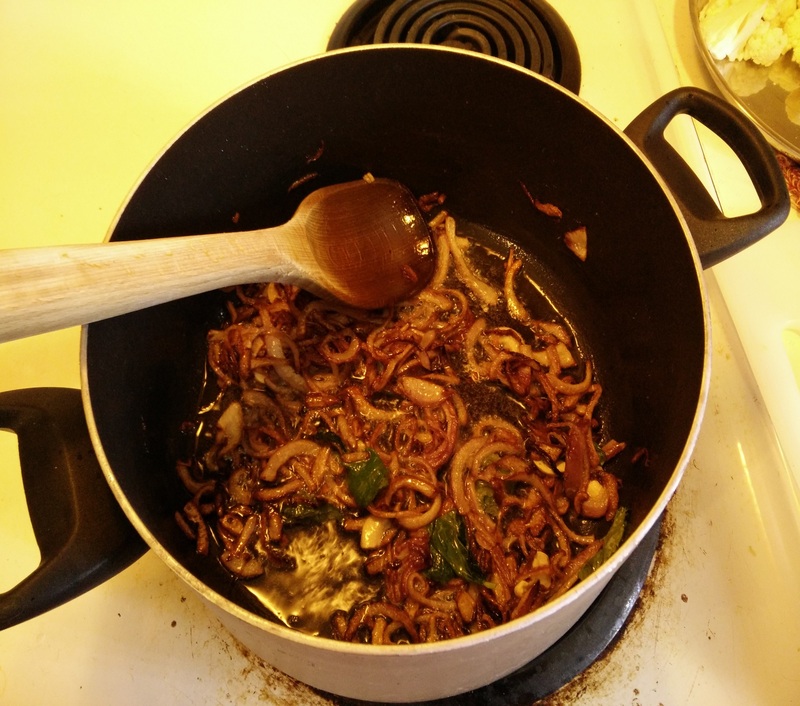 To cook the vegetable gravy, in the pan where the brown onions were cooked (or any other wide pan), add tsp of oil and ginger garlic paste and saute for few seconds. 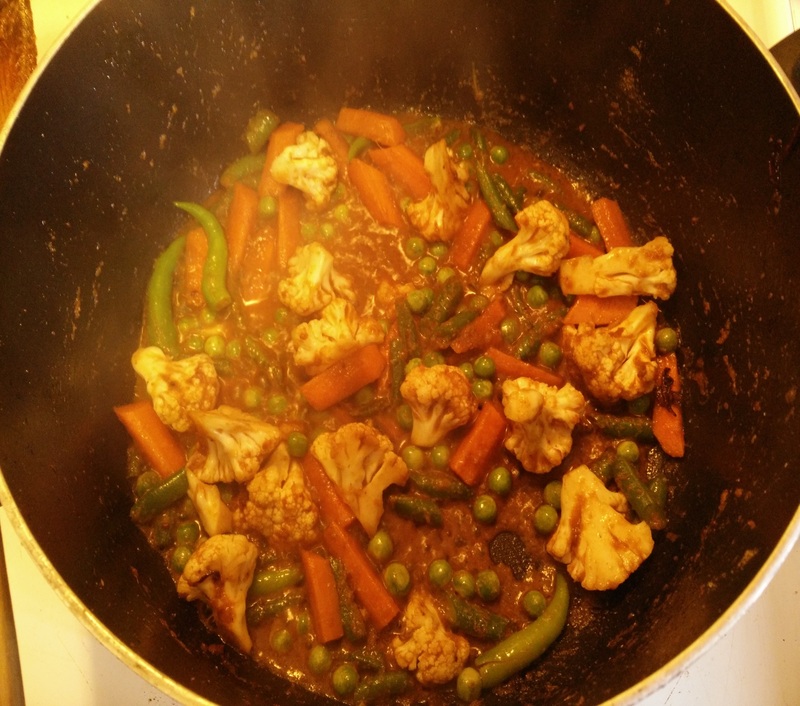 Add the vegetables, green chilies, salt, turmeric, chili powder, coriander powder and garam masala powder and saute for a minutes. Now to layer the biryani, take the same 5 Quart pan (or any heavy bottom pan or pressure cooker) and first pour a layer of rice to cover the bottom and then the whole vegetable gravy. 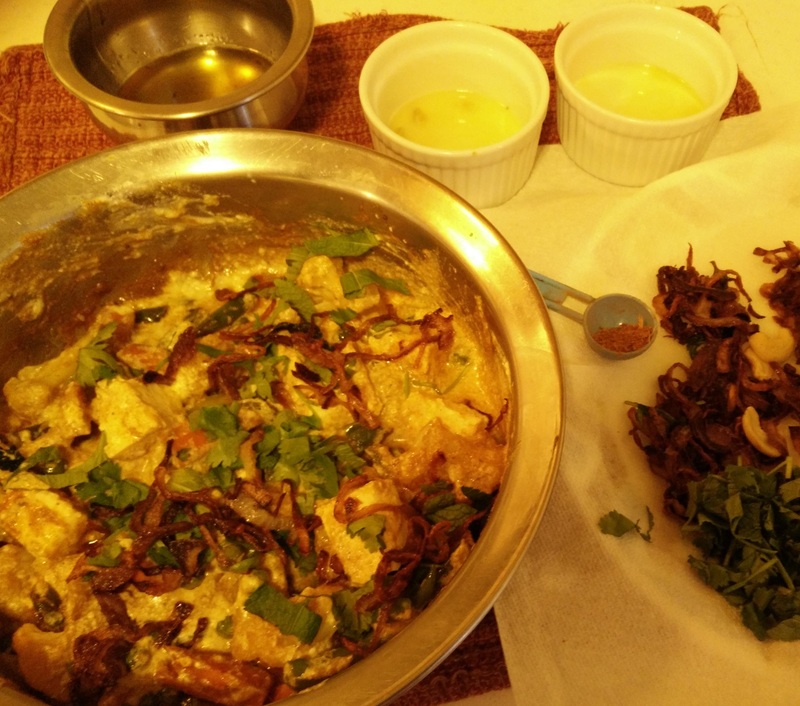 Add some brown onions, mint, coriander leaves, lemon juice and garam masala powder. 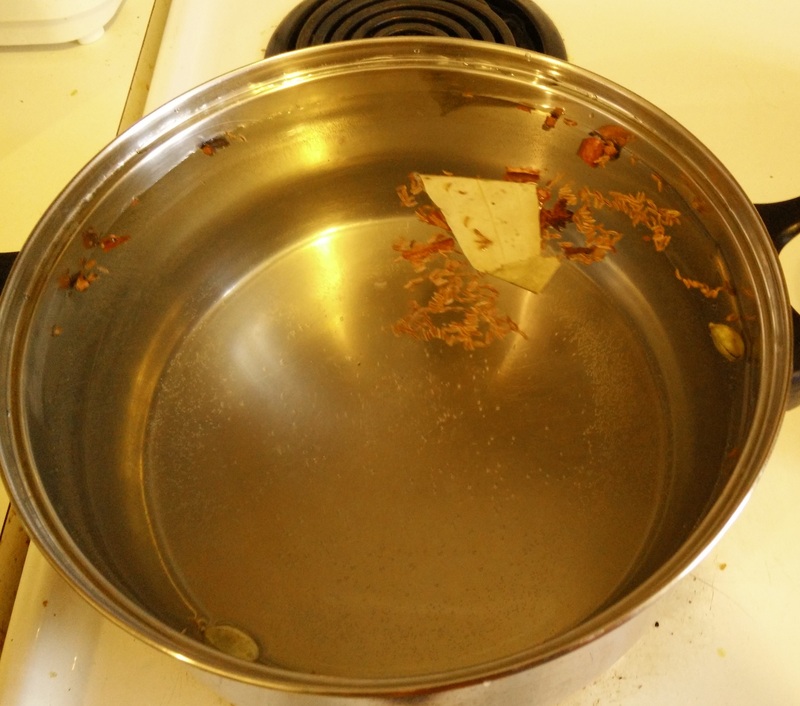 Cover with aluminium foil or wet towel and put the lid so that no steam escapes. 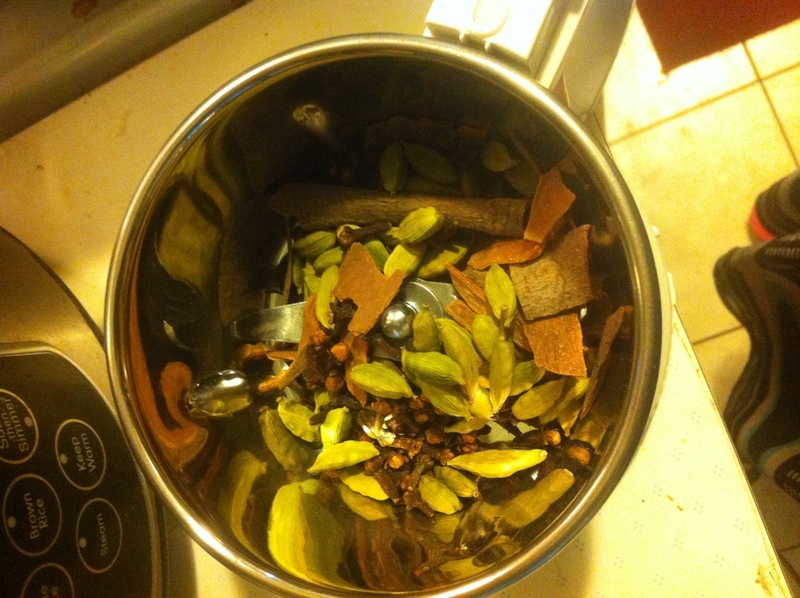 Put it on low-medium flame for 25-30 mins mins. If your pan is not heavy bottomed keep a tawa or griddle below the dish. Alternatively you can layer the same in aluminium tins and bake it at 350 for 25-30 mins. To check if its done, check the bottom of the pan at the edges, if there is water, its not done yet. 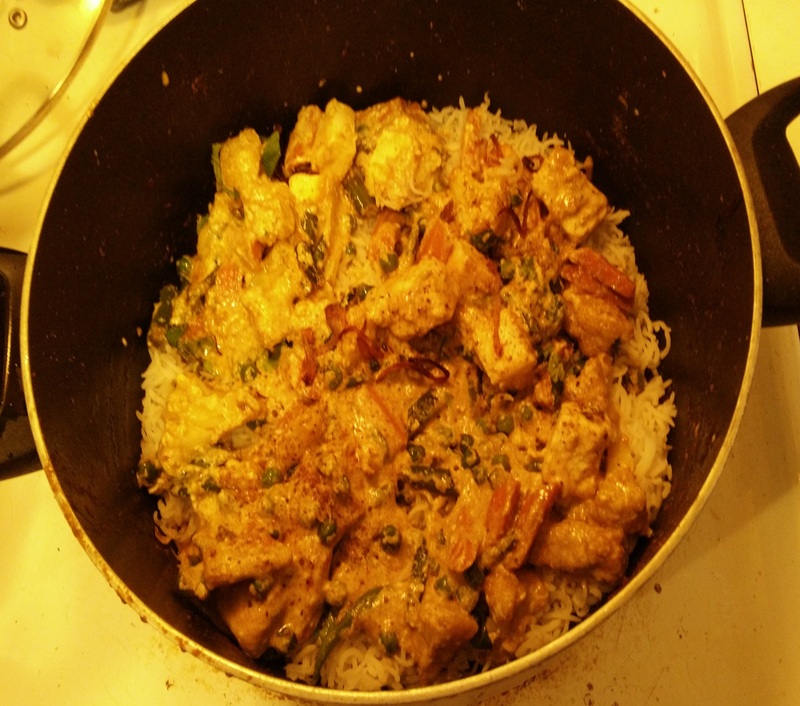 You can check the rice grain and vegetable too. 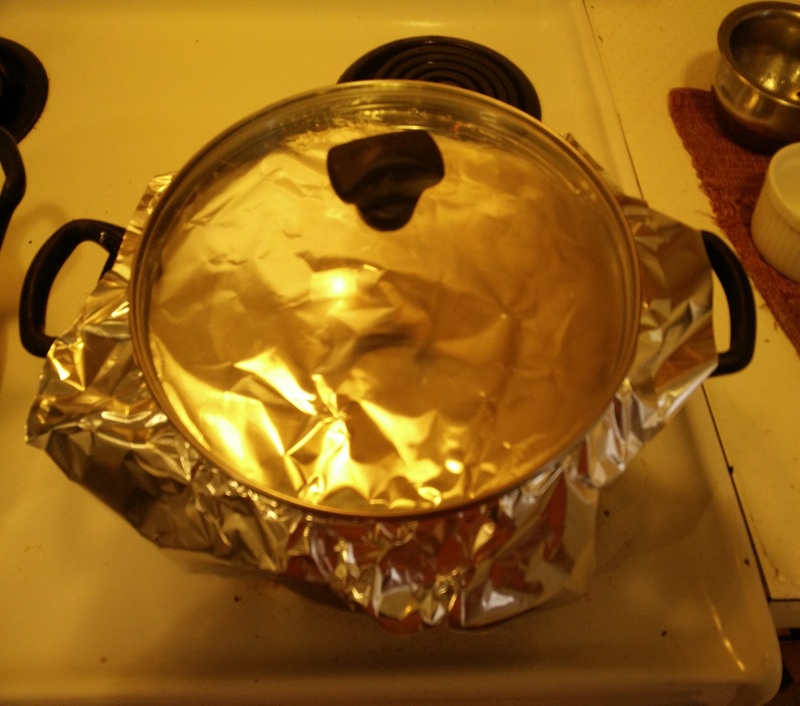 When you open the foil to check, if there is steam coming out of the pot, it is usually done. If its not done, cover and cook on low heat for 10 more minutes and check. 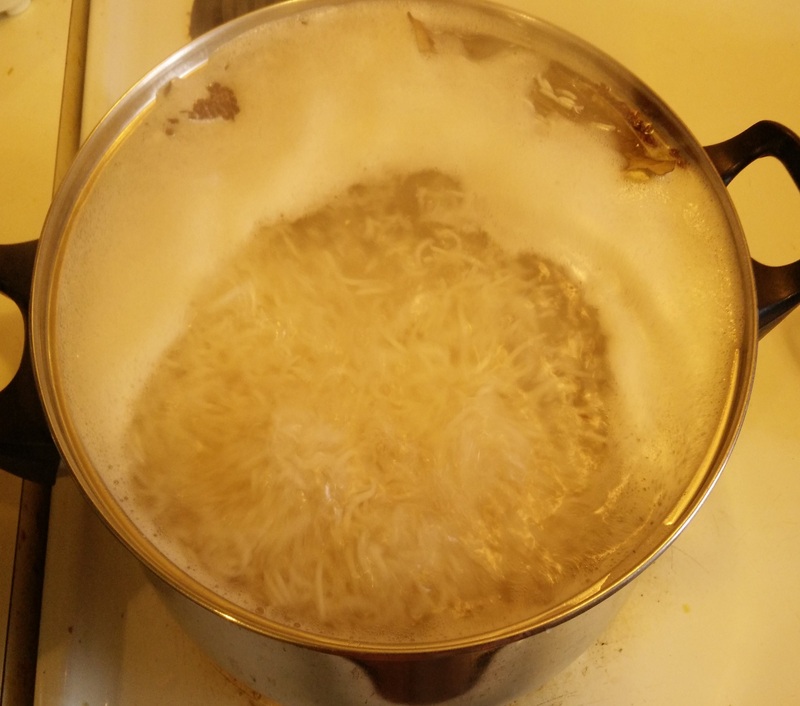 If you think the rice is not done yet and the bottom is dry, you can add quarter cup of boiling water and cook on low heat. If the bottom is burnt, to avoid the burnt smell, cut a onion, peel to quarters and press them at corners and cover the dish. 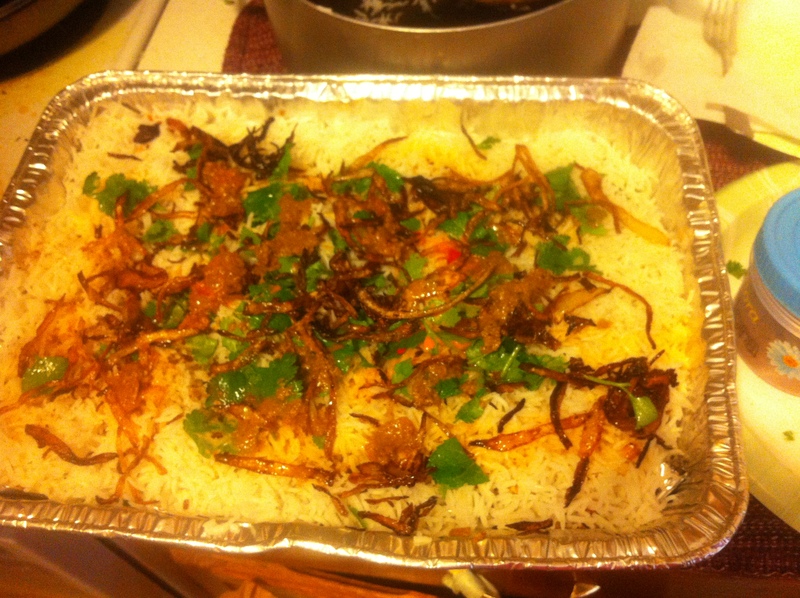 After 15 minutes you can take the upper part of the rice leaving behind the burnt part. 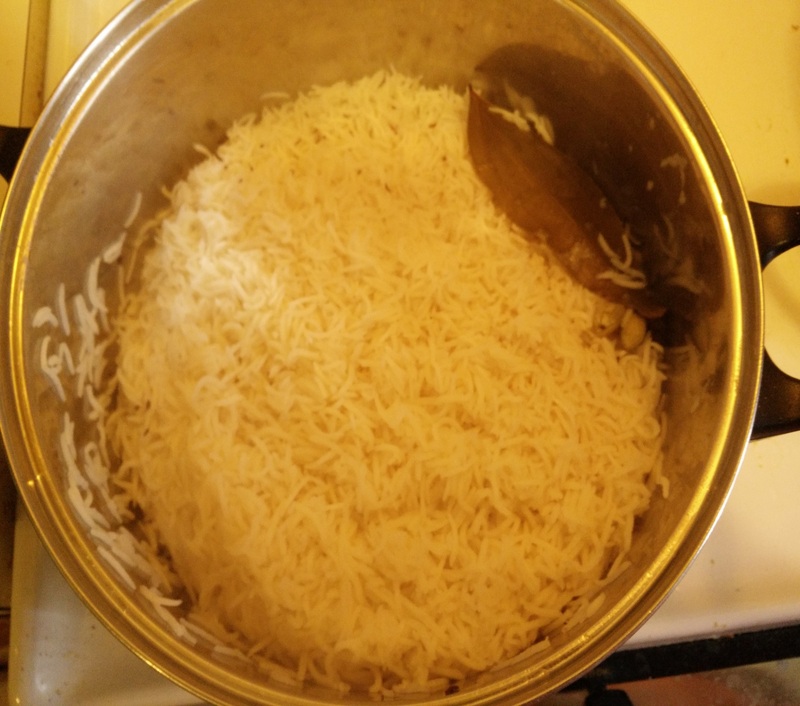 The rice will not have the burnt smell.